It’s official! Spring has finally found its way to Long Island and I couldn’t be happier. With warmer temperatures in mind, and time to stroll in Georgetown last week, I surveyed a few stores for a new spring look. What I found was a blue and yellow circle-skirt dress in a printed pattern at H&M that was too cute to pass up. The bright color, which didn’t resemble anything in my closet, caught my eye. This vibrant dress is sure to get a lot of mileage this spring and summer. I’m already putting it to good use today and dressing it up with gold accessories and my Franco Sarto wedges (which are still comfy and have been on major repeat!). Paired with a navy blazer and perhaps a muted pump, it makes a great office ensemble. For a casual feel, wedges or sandals will keep this look comfortable and chic. Either way, this fitted dress with a playful print is a welcome addition to my wardrobe for spring. Lovely dress!! 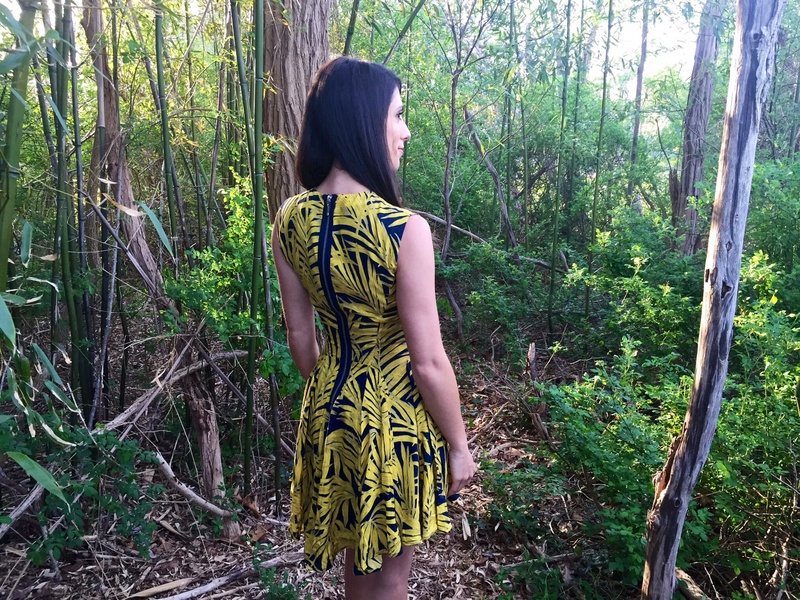 I like navy and yellow… so classic and the print is very pretty! Thanks, Amber! 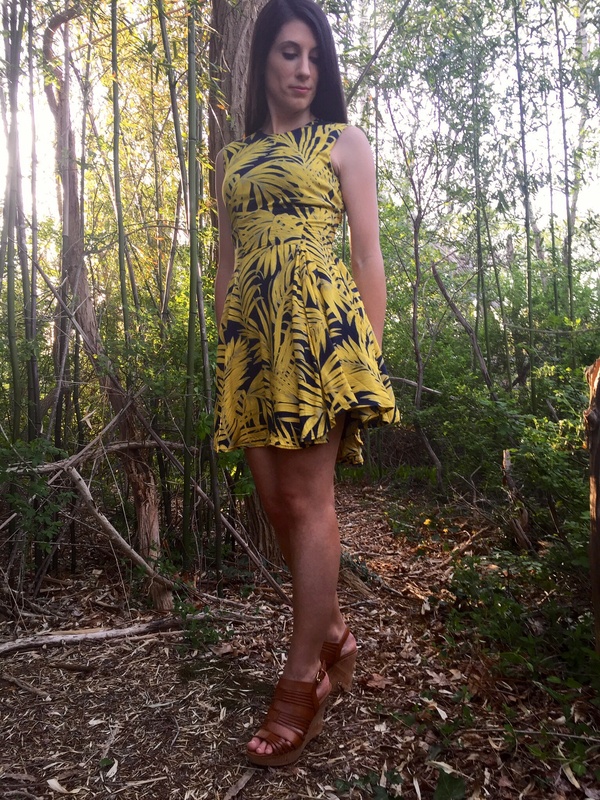 I thought it was a fun dress for the warmer weather, and it’s a different color scheme for me. Thanks for visiting & have a nice weekend! That dress is the perfect Spring dress, you always look so pretty! Thanks, Jenessa! I think it has become my new favorite dress. I paired it with a navy blazer today for the office and it is very versatile. Great look, yay for warmer weather!